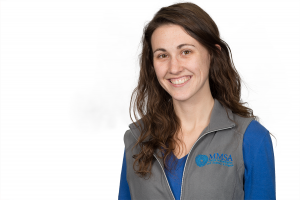 Hannah Lakin joined Maine Mathematics and Science Alliance in January 2016 as a STEM Education Specialist. Her focus is in experiential math education, as the project manager of the GEAR UP interschool collaborative, as well as in afterschool professional development. She works closely with the ACRES Project Team to bring professional development coaching and resources in STEM to afterschool educators in rural regions. Hannah is a graduate of Merrimack College, where she earned a degree in mathematics and secondary education. She has worked in the formal school setting in San Diego, California, as a full-time volunteer and then as a middle school mathematics and science teacher. She has also served in afterschool and out-of-school settings as a coach and leader for afterschool groups and teams. She is passionate about empowering youth and their leaders in science, technology, engineering and math. She couples her role at MMSA with her mathematics faculty position at Coastal Studies for Girls in Freeport, Maine.